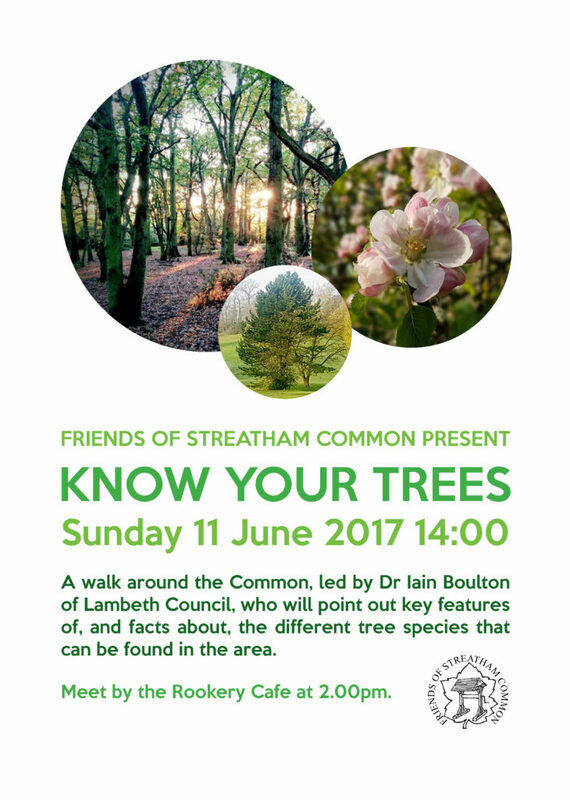 A walk around the Common, led by Dr Iain Boulton of Lambeth Council, who will point out key features of, and facts about, the different tree species that can be found in the area. You can see this event as not only a fun educational walk, but one that will be good for your health! Research shows that within minutes of being surrounded by trees and green space, your blood pressure will drop, your heart rate will slow and your stress levels will come down. Meet by the Rookery Cafe at 2.00pm. Free – but you can always make a donation if you enjoyed it!